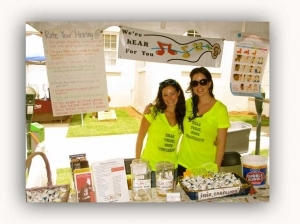 We’re hEAR For You is a 501(c)(3) non-profit organization whose mission is to provide concertgoers, musicians and music industry professionals with free hearing protection and hearing conservation education while promoting premium audiological services and products to create safe live music experiences. Noise exposure accounts for much of hearing loss in adults and has been noted as a primary factor in hearing loss in young adults and adolescents. Recreational and community noise exposure can lead to high frequency hearing loss and tinnitus. Damage from noise exposure can often be traced to listening to amplified music through headphones or sound systems, while playing music, attending concerts or dance venues, or other noisy activities. We promote the prevention of noise-induced hearing loss and tinnitus by educating individuals about the risks of noise exposure and the importance of of using hearing protection. We provide free earplugs at music venues, music festivals, on tour with bands and at educational events. We also partner with local audiologists and likeminded organizations to provide free hearing screenings while promoting premium audiological services and products. 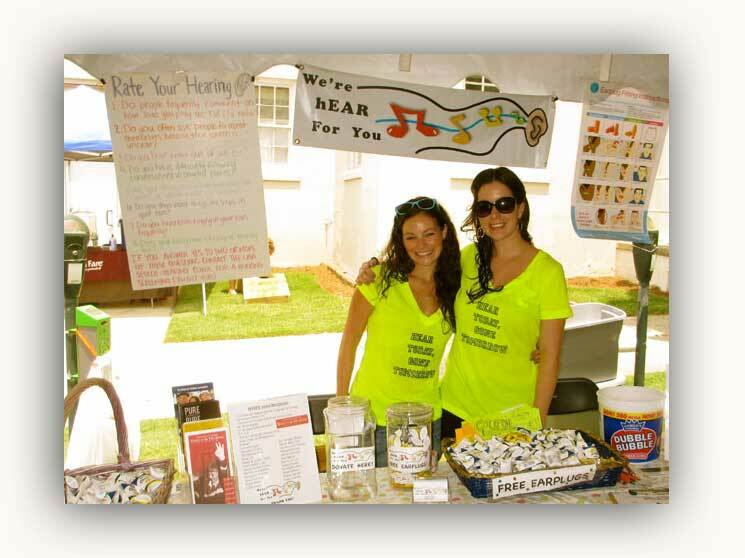 We’re hEAR For You was founded in 2009 by Speech-Language Pathologist Caroline DeCelles and Music Business Professional Katie Carmody after realizing the need for concert-goers to have access to free hearing protection as well as the understanding of why it is important to protect your ears from noise induced hearing loss. While in graduate school, illness ruptured one of Caroline’s eardrums, leaving her particularly sensitive to loud noise. While attending a concert a few days later, she attempted to purchase a pair of earplugs at a local music venue, but the machine was empty. For Caroline, it was like an epiphany. She was studying speech and hearing and knew the importance of protecting her hearing from noise exposure. It was this experience that inspired We’re hEAR For You’s inception. With support from graduate students in the Communication Sciences and Disorders Program at the University of Georgia, and undergraduate student volunteers from the University of Georgia National Student Speech-Language-Hearing Association (NSSLHA), We’re hEAR For You (WHFY) became involved with AthFest, an annual music and arts festival held in downtown Athens, Georgia. 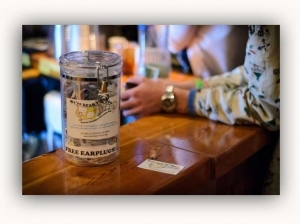 Athfest was a great success for WHFY, both in distributing mass amounts of free earplugs and serving as an information center about hearing conservation at Athfest. WHFY used that experience as a launching point to expand to work with more venues, music festivals, on tour with bands and with more educational events. Since 2009, WHFY has grown to include chapters in Athens, GA, Atlanta, GA, Nashville, TN, Denver, CO, Boulder, CO, Fort Collins, CO & Austin, TX that partner with 50+ music venues, 25+ touring bands & 15+ music festivals annually.